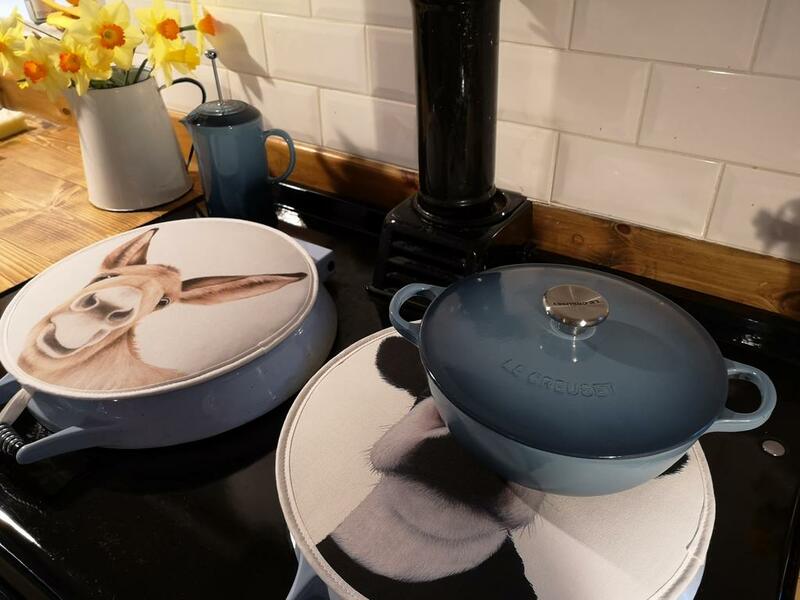 We've added to the ever growing product range here at Lucy's Farm and we are loving our new AGA covers, hot off the press. Excuse the pun! We're selling as a single cover, meaning you can mix and match to enjoy more than one design, however with three designs available how will you decide! These round hob covers are great for keeping your AGA clean and scratch free, and according to a reliable source (Lucy's Mum!) they are also effective at keeping the heat in!